We carry a variety of performance jet boat parts and pumps, marine engine parts, and marine exhaust systems and silencers, including all the accessories like billet aluminum hardware, BBC mounting kits, gauges, SS fittings, and flame arrestors. Take advantage of our experience and knowledge and contact us today for all your needs. Fits Aggressor,American Turbine,Berkeley & Dominator. 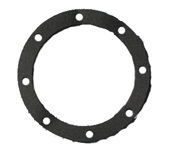 8 Hole (Double Drilled)Bearing cap Gasket. Fits Aggressor,American Turbine,Berkeley & Dominator. Fits Aggressor,Berkeley & Dominators up to 1998. 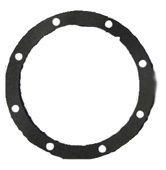 ""Will Not Fit American Turbines"
16 Hole (Double Drilled) Bowl gasket. Fits Aggressor,Berkeley & Dominators up to 1998. ""Will Not Fit American Turbines""
Fits American Turbine SD-309 / SD-312 / AT-309 1993 and up & Dominators 1998 and up. 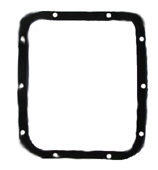 This is used instead of a Gasket when Bowl I.D. is machined for O-Ring. Fits Aggressor, American Turbine, Berkeley & Dominators. 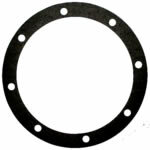 Nozzle Housing 16 hole (Double Drilled) Fits Aggressor,American Turbine,Berkeley & Dominators. Fits All American Turbine AT-309 / All Dominators 1999 and up, with O-Ring Groove in Transom housing I.D. Fits All Berkeley Pumps & Pre 1999 Dominators . With O-Ring step groove on O.D. of Bowl. 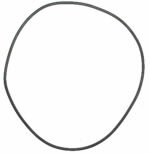 This is the inner PTFE O-Ring in a Place Diverter. When they spit out, they look like a drinking straw caught in the Place Diverter.